Brian McMillan is Director of the Music Library at Western Libraries. He holds a B.Mus. (honours) and M.Mus in Vocal Performance from McGill University, where he worked for 10 years as a Music Liaison Librarian after receiving his MLIS from the University of Toronto. 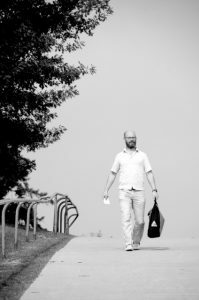 An erstwhile baritone, Brian performed and recorded across North America with such ensembles as the Tafelmusik Chamber Choir, La Chapelle de Québec (Les violons du roy), Le Studio de musique ancienne de Montréal, and Aradia Ensemble. He now regularly presents pre-concert lectures for the Canadian Opera Company. Brian can be reached at bmcmill2[@]uwo.ca.